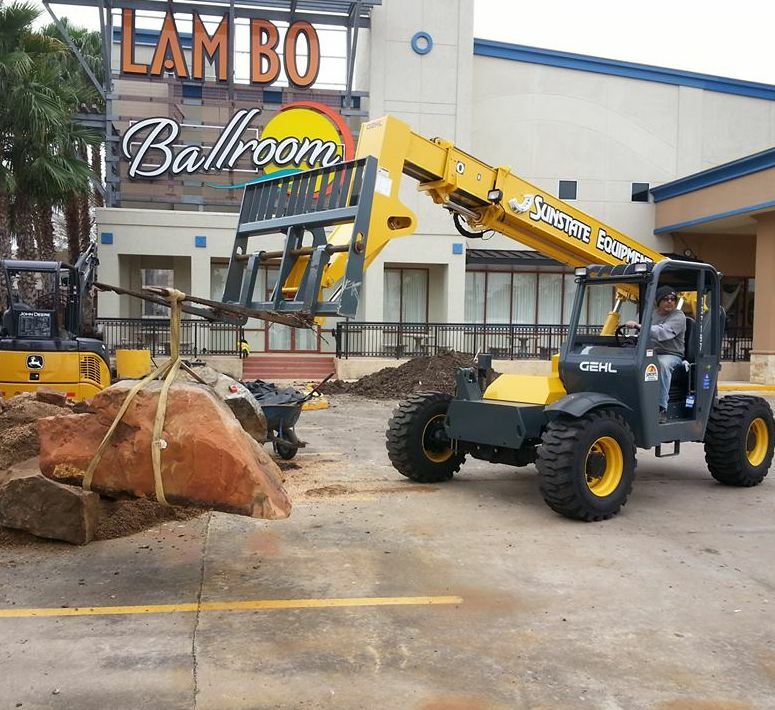 Owner and water feature designer Matt Boring was a landscape designer when he took his first class on pond and water garden design and installation in 1999. He built his first pond in 2000 and has been hooked on waterfall building ever since. Juan 'Mando' Sanchez joined the team in 2002 and quickly earned his way to being our construction foreman. His passion for water features is undeniable! 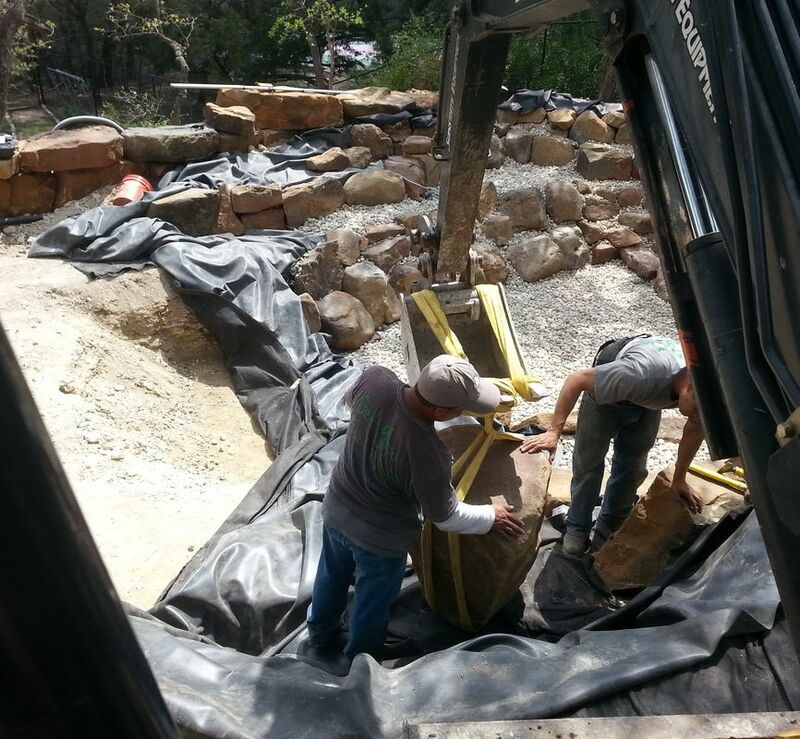 Together they build some of the most natural looking waterfalls and ponds in the Austin and Central Texas area. Austin Vlogger Ed Veroksy interviews Paul Oveisi about the Cosmic Coffee and Beer Garden and the natural vibe they're trying to create there. They talk about the pond that we installed for them and the reasons behind wanting water in that type of environment. Take a look! 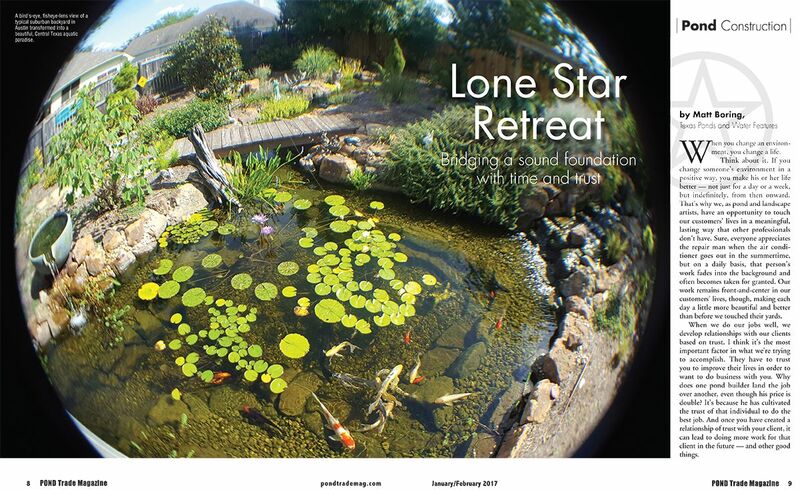 We take our inspiration from hiking and observing nature's own magical waterways here in the Austin and Central Texas area. We are driven to bring the feeling of relaxation, peace and wonder that we experience to our clients' daily lives by recreating the spirit of what we observe. Bringing the look, sound, and feel of a natural pond or waterfall into your private space is our passion! It allows us to share something very personal with you that you experience over and over again. Armed with over 32 years combined experience, we can build you the paradise that you deserve.